For parents of children with special needs, such as disabilities, autism, and chronic illnesses. Also for adoptive and foster parents. My husband and I have three children, and we consider our family to be quite busy especially as our children grow older, develop their own interests and add their own activities to the family calendar. I am thankful for Attachment Parenting International’s Eight Principles of Parenting as I feel the foundation for secure attachment that we laid in the early childhood years has helped keep us connected in spite of our full schedules. Still, it is mind boggling sometimes to think of what it would be like to add another child to the mix. And then I met Margie Wilson-Mars of Salem, Oregon, USA. A parenting writer, Margie and her husband of almost 20 years, Robert, have eight children ages 27, 25, 23, 21, 14, 12, 9 and 8—seven sons and one daughter, three of the boys who are on the autism spectrum. Margie and Robert also have three grandchildren ages 7, 6 and 3. Now there’s a full household! I could hardly wait to share her Attachment Parenting (AP) story. RITA: Thank you, Margie, for your time. To begin, how did you decide to first try out the AP approach? MARGIE: By the time I found out there was an actual thing called AP, I had already been practicing it. I was only 19 when I had my first son. My mother-in-law had been an oddity in the very early ’60s and breastfed her boys. My mother, who was 15 years older than my mother-in-law, was in my ear constantly with, “You just have to nurse for three weeks and then it does no good.” It was simply a reflection of her generation. Even in 1987, I was the odd one out breastfeeding and refusing to let my son cry it out. I watched Dr. Jay Gordon on “The Home Show” on ABC—so radical then! My mom told me I was punishing myself. RITA: Your mom didn’t agree with AP? MARGIE: For the record, she was legitimately worried about me. It’s just what she knew. She was an amazing mom. By the time my mother passed away, she was finally comfortable with my parenting style. Acceptance means the world to new moms, to all moms. RITA: So who did you lean on for AP support? MARGIE: When my daughter was born 19 months later, I found La Leche League meetings. I am a very solitary person, so in hindsight, I wish I’d participated more, but it did give me validation for what I felt. I just got “worse” from there! I met Peggy O’Mara, went Dr. Sears happy—yeah, I was hooked. RITA: And your husband is supportive of AP? MARGIE: After getting remarried, my new husband instantly accepted and participated in AP. In fact, I don’t even recall discussing it. When our first son was born, he slept with us. Well, I should say he slept with his dad because he was only comfortable on Daddy’s hairy chest! Most of them did the same, but our last, preemie Adam, was partial to sleeping on his brother Mark or his “Sissy Mama,” our only daughter, Stephanie. RITA: At one point, you mentioned to me that AP saved your life. Can you expand on this? I honestly don’t remember how it happened, but I ended up at my mother-in-law’s house where she tucked me into bed for some much needed sleep and took Steven. She would wake me up to feed him, keeping an eye on us, and then send me back to bed. Her gentle manner just blew my mind, the total opposite from my family. Even the way she bathed him was so soft and stress free. No more watching the clock between feedings or freaking out because he didn’t poop that day. My depression ran deep, and it took getting pregnant with my daughter Stephanie before it totally lifted. Being constantly reassured that listening to my instincts was not only OK, but good, made all the difference. I have no doubt that if I’d continued on the path I was on, I wouldn’t have made it. RITA: The quality of parent support can really make all of the difference. I’m glad you found support when you did. MARGIE: There have certainly been huge bumps in the road since, but my mother-in-law set the tone for my parenting. No matter how rocky things got at times, our attachment was never affected. For example, when my daughter and I clashed through her teenage years, she told me she never felt like she couldn’t crawl into bed with me and know that everything would be OK. Her grandmother is truly the one to thank for that. RITA: I’m thankful for her, too. The world needs more parents like you—and her! So how has AP worked out for your family as it has grown? MARGIE: I think the best thing was the ease of taking care of the babies when they were little. When the oldest four were teenagers and the babies were little, we had a gigantic cushy spot—spots are very important in our home—in the living room where I could just be with all of the boys, yet stay accessible to the older ones. It also forced my autistic boys to be social with their brothers. People are still astonished when they see how cuddly our autistic sons are. RITA: What is it like seeing your oldest children becoming parents themselves? MARGIE: Even though we still have little ones at home, seeing our daughter with her children—just wow! She’s the best mother, so instinctive and giving. Our oldest son is a newly single dad and so intensely bonded to his son. The evolution of parenting, seeing them working so hard to correct the mistakes we made and become even better, closer parents to their children: It’s a beautiful thing to see. We’re really doing the same thing with our younger boys—improving and evolving. It can be a struggle to stop feeling sorry for yourself and just move forward. 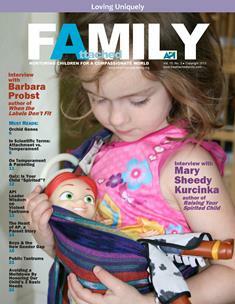 The bigger the family, the more you need Attachment Parenting. RITA: You mentioned that AP seems to be helping in parenting your children with autism. MARGIE: This is huge for us. My third child, Mark, has Asperger’s syndrome. He is from the first wave of autistic children born in 1990 when it started to skyrocket. When he would nurse, he would pull his entire body away, trying so hard not to be touched any more than he had to. The more I’d pull him in, the harder he would fight. Autism wasn’t even on the radar. Mark self-weaned at 8 months old, and I was crushed. He was happy as could be as long as he was on his own. When our sixth child, Nathan, was 3 months old, our oldest son kept saying, “Something’s wrong with him.” Teens are so subtle. We thought maybe he was just sensitive because he had suffered a birth trauma when my cervix was lipped over his head for over an hour while pushing during labor. An hour after birth, his face turned nearly black from the bruising. Months later, while I was sick, my husband took Nathan for a checkup. We say that the baby we had died that day. Rob brought home this terrified, seemingly hollow baby we didn’t know. If there was something wrong before, it was a million times worse that day. 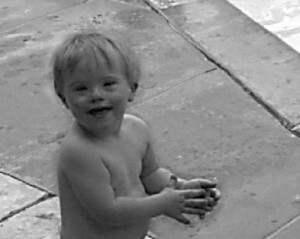 By the time Justin, baby number 7, came along, we knew fairly early and said, “Ah, we have another Aspie!” Sure enough, he has Asperger’s like his older brother, Mark. The parents of autistic kids I know have them in day-long therapy, speech class, tactile class, et cetera, et cetera. There’s even one mom I met who put her 12-year-old into a group home when he hit her 4-year-old. She brings him home on Saturdays. I cried when I heard. It still breaks my heart to think about it. RITA: My oldest, who was an early preemie, had major developmental delays that mimicked autism. She would’ve been diagnosed with autism if she had been born full term. The very day I received that news, I whole-heartedly dived into AP. Before that point, I was kind of wishy-washy. It took a long time to build that trust and connection with her, but today, I credit AP—along with various therapies by AP-friendly professionals—for helping her overcome her challenges. It’s validating, Margie, to hear your story. Is there anything else you’d like to share? MARGIE: Recently, I’ve read a lot of parents online who have left AP. Most claim that AP parents are too militant and flip out if people stray from [API’s] Eight Principles. The parents that make these claims can scare off new moms who are maybe only breastfeeding and want to find out more, or can’t get a good night’s sleep but feel wrong letting their baby cry. I hope that parents think about these things before they make that [judgmental] comment to a new mom. When I was young, I would sometimes join in with other kids who picked on those who were different. In my fifth-grade class, there was a girl who had a neuromuscular disorder. Her name was Michelle; she was a small girl, shorter than the rest of us, with long brown hair. We made fun of the way she walked. Then in junior high, a boy who was mentally retarded rode our school bus. Every day, the kids would tease him, throw things at him, and mimic his speech. He tried to ignore them, but you could tell he was really hurt by it. He would sit in his seat and keep his head down. I wish I could say I increased my acceptance of people with disabilities over the years. But my attitude as an adult still left much to be desired. I clean houses for a living, and one of my clients has a teenage son who has a mental disability. I would dread the days that he was home from school because he would want to tell me all about his Yu-Gi-Oh card collection, and he was always afraid I would vacuum up his beloved Legos. I would have preferred to avoid his company. I had similar feelings for the young woman with a mental disability who works at our grocery store. I’m ashamed to admit that I used to dread her carrying out my groceries, because she would repeat the same story several times. And I was in too big a hurry to hear what she was saying. Then I became pregnant with Brandon, my fifth child. Things seemed normal at first. I refused all prenatal testing, even though I was 38 years old. I felt that nothing a test could tell me would matter or change my idea of having a baby. But toward the end of my pregnancy, something seemed different. Maybe it was because I had suffered a tubal pregnancy six months before and was still skittish, or because I didn’t feel as much fetal movement as I did with the others. Or maybe it was mother’s intuition. Out of curiosity, I started checking websites for information on Down syndrome. Looking back on it now, it gives me an eerie feeling that this diagnosis was the only thing I ever researched, because when Brandon was born, he was diagnosed with Down syndrome. During those first hours following the diagnosis, I was full of fear of the unknown. I was angry, sad, hurt, and felt lots of self-pity. Then of course, I wondered how this would affect my other children and how they would react to their new brother. The day I came home from the hospital, the early intervention team called to tell me about physical and occupational therapy. I was astonished at all that was expected of my little son, and of me. I am the mother of four other boys; I thought nothing could shock me anymore! But I realized my new beautiful son was going to need our help and I was determined he would get it. This was my first step towards acceptance. Two weeks after Brandon was born, my oldest son, Conrad, graduated from high school. In a class of more than 400, it is hard to stand out as one of the best. Only three students were chosen to give speeches during the ceremony. One of the boys chosen had Williams Syndrome, a chromosomal disorder. I cried through his whole speech. Afterward, he was given a standing ovation. For the first time, I thought to myself, “Brandon is going to have a bright future with plenty of friends.” This was another important step toward acceptance of Brandon’s diagnosis. My next steps were easier to make, because of the wonderful support I received from my family, just as I had my whole life. When I had had marital problems and divorced, my parents opened their home to me and my children, letting us live with them until I was able to get back on my feet, which was a great help and comfort. Then I revisited the website I had sought out while pregnant, the BabyCenter.com Down syndrome bulletin board. Interacting with other women in my situation enabled me to relax a bit and feel more confident. As I took even more steps toward acceptance of Brandon’s diagnosis and the changes it brought into my life, I regretted my previous attitude toward people with disabilities. I still feel bad about my behavior toward those who couldn’t help their circumstances in life. I wish I could go back and change the way I treated them. But all I can do is pay attention to how I react and treat people now. Now, when I see the young woman at the grocery store, I take the time to listen, to ask her questions, and to make conversation with her. Now, when my client’s teenage son is home, I talk to him about his cards and ask him about his baseball team, and I really enjoy our chats. These days I make a point to be friendly to other families who have a child with a disability. During a recent trip to Disneyland, while waiting in line for the monorail, I saw a child with Down syndrome in front of us. I started small talk with the parents, instead of looking away. Turns out they lived in our area, and we became friends. Acceptance has its benefits! I’m confident that Brandon’s brothers will not have the same narrow views that I used to have regarding people with disabilities. I think they will be the kind of boys who will refuse to join in with the teasing so common in our society. I think they’ll be more welcoming to the hard-working individuals who carry their groceries. I want to offer hope to parents facing a new diagnosis of Down syndrome. I was and am where you are, and where you will be. Remember, the broken heart is in you, not your child with Down syndrome. Within a short time, your broken heart will transform into a heart filled with love and amazement at this incredible person. You, too, will find the peace of acceptance. Breast augmentation is one of the most common cosmetic surgeries, accounting for more than 300,000 procedures per year. The average implant patient is in her mid-30s and has already had a child, but many women also receive augmentation surgery at a younger age. Breast implants can interfere with breastfeeding if the procedure is performed incorrectly, but they don’t have to. Human lactation starts in the late part of pregnancy. The breasts begin to produce colostrum, a special type of early milk, but are prevented from excreting it until after birth. After a child is born, the mother’s hormone levels adapt, causing the breasts to fill with milk. I was never one of those people, pre-kids, who romanticized parenting. I worried instead about how my baby and I would communicate and how I would deduce from her cries the action required to meet her needs. I was fascinated by how she had extrapolated a sign previously used only to request more food to ask for more massage. In that moment, I realized the potential that signing had for a deeper level of communication. We’ve used it twice now, with two different approaches, both times with success, connection, and unimaginable delight. It allowed our sweet ones to communicate their needs and interests while providing us with ever-amazing glimpses into their complex minds. With each sign, it was evident that our recognition and understanding of their communication gave a sense of confidence to our preverbal children as well as showed them we were interested in what they had to say. I’ve come to realize that it is not only helpful in understanding my baby’s basic needs but has opened up a rich and ever-rewarding vehicle of sharing my child’s excitement for the world. At 10 months, Aviv began signing “dog.” The first time she used the sign, we were taking an evening stroll and she “commented” on the incessant barking of a neighborhood dog. She began signing “dog” to communicate about anything related to our pooch, like when she played with Maya’s leash or passed her water bowl. “Milk,” “eat,” “fan,” and “hat” soon followed. We were amazed at how much of the world she understood without our full comprehension minus this under-used communication device. When, compelled by our own fascination, we would note to a stranger that she was signing “water” because she saw a river in a painting, the question inevitably asked was if she was deaf. Most people have never heard of baby signing. One friend commented that our babies seemed so aware, and what we were learning is that they all are in degrees both staggering and easily discovered with American Sign Language (ASL). In the United States alone, there are 3.2 million referrals to social services on allegations of child maltreatment each year — one-quarter of which are found to have a substantiated case of physical or sexual abuse or severe neglect. Seventy-five percent of these founded cases of abuse or neglect had no prior history. It’s an astounding number of children who aren’t living in safe, loving homes — especially knowing that these numbers don’t count the abused and neglected children living around the world. It’s a number that child maltreatment prevention researcher David Zielinski, PhD, wants to stick in your mind. “I can highlight this, I can underline this — we’re talking about a huge number of children,” said Zielinski, who works with the National Institute of Mental Health. Earlier this year, he addressed a wide audience of researchers, social workers, and other professionals in the field of child abuse prevention and treatment through a webinar hosted by the Quality Improvement Center on Early Childhood. That “huge number of children” Zielinski was describing translates into another sizable group – 25 million to 30 million adults, just in the U.S., who were abused or neglected as children. Research has shown us that individuals who experienced abuse and neglect have a higher risk of depression, post-traumatic stress disorder and other anxiety disorders, antisocial personality disorder, substance abuse, and other addictions. And it’s well known that adults who were abused or neglected as children are more likely to become abusers themselves. “You learn what’s appropriate based on imitation,” Zielinski said. My son woke up that summer morning and came to me. His light blue-green eyes were clear, and he looked healthier than I had seen him in a long time. Something was different with my three-year old. I paused in shock at his request. It was a bright morning, just one of many beautiful days we’d had that summer in 2000. But a feeling of unreality washed over me. With those simple words, I had entered the twilight zone. For almost two years before that day, my son hadn’t spoken much at all, hadn’t searched out my eyes, hadn’t really done anything that a normally developing child would do. He had lived in a separate universe, a never-never land of lost boys and lost parental dreams. My little cabbage boy. Suddenly, as spectacularly as my son had disappeared, he was back with me. I didn’t react. There were no big moments of hugging or kissing him. In general, he didn’t care for demonstrations of affection. So I didn’t fuss. Frankly, I didn’t quite believe what was happening. My husband was getting ready for work, and so I just went through the usual motions of making breakfast, while wondering if this would last. Wondering if I was dreaming. I got out his paints and his easel. What had happened? What had brought my son home to me? The day before we had taken a train trip upstate to Brewster, New York to a DAN! (Defeat Autism Now!) protocol doctor – the very same doctor who had been mentioned in Karyn Seroussi’s book, Unraveling the Mysteries of Autism and PDD. Defeat Autism Now!™ (DAN!) is a project of the Autism Research Institute, a group of physicians, researchers, and scientists committed to finding effective treatments for autism. DAN! does not regard psychotropic drugs as the best or only means of treating autistic patients. More information can be found at www.autism.com/dan/index.htm. My son had acted up on the train, screaming and yelling, hurling his body back against the stroller I’d confined him in. Being on the autistic spectrum this was standard operating procedure. I was glad that the train compartment was almost empty because it cut down on the amount of dirty looks I would receive for having a tantruming preschooler. Finally, after our taxi ride, he settled down in the doctor’s office while we waited. He had found a basket of fast food restaurant toys and he was content. It never failed to amaze me that a child so nonresponsive to his mother and father, never hearing us and never searching us out, could spot a favorite toy from yards away and make a bee line to it. Yet I found that reassuring somehow – that even though he didn’t care for us, there was something in his universe that he loved: Blue from Blue’s Clues, Thomas the Tank Engine, Elmo and his other friends from Sesame Street. As long as he loved them, he wasn’t alone. They reached him where we could not. The doctor recommended that we use twilight sleep so that my son wouldn’t struggle during the prolonged blood draw necessary for all the testing we needed to have done. And it would help because after taking the blood we’d be doing an IV push of Secretin and vitamins, which would also take more than a few minutes. It took me and two nurses to hold down my son’s small yet very strong, three-year-old body. He screamed and struggled until the sedative took effect. It broke my heart, but I had had two years of getting used to being heart-broken. I was so used to it, and yet it still hurt. My mother, 68 years of age, a vivacious woman who talked a lot but rarely gave any thought into what she was saying, lived only a few miles away and was there to pick up my very groggy son and me after the appointment. My son was very much under the effects of the drug we’d used to calm him and I had to be careful that he didn’t hurt himself as he flopped around. Thank goodness for my mother driving us back to the city because I’m not sure I would have been able to handle the train trip back. My boy went to sleep as soon as we got home. And then it was the next day, and a child I hadn’t seen for two years was back with me. I didn’t think miracles happened just like that. Hadn’t the government and various studies debunked the use of Secretin? Maybe it had been the vitamins? In the next few weeks, we spent all of our savings and maxed out our credit cards with this doctor, on the basis that the two years we had stuck with mainstream doctors and therapies had done little to nothing for our child. Time was passing. Our son’s childhood and potential were speeding by us. Our leap of faith had paid off. Eye contact, and speech, but more – much more: someone was home again in there. Someone who knew us, knew that we loved him and cared for him. In Attachment Parenting (AP), very often a family will be confronted with a professional’s opinion that goes against what is in their hearts. Doctors will tell moms to quit breastfeeding and introduce solids. They will tell families not to share sleep, because it will permanently hurt the child. They are told to let their child cry-it-out. 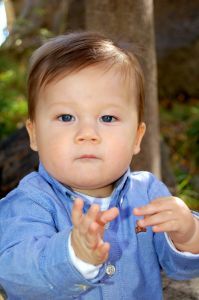 Our doctors had ignored our son’s constipation and diarrhea for two years. Earlier that year his bowel movements had been so acidic that they had left welts on his upper thighs and testicles. We’d had to change him in the bath tub while he screamed in pain. And once, after having popcorn, our son’s constipation had reached the point where he couldn’t stand up straight or walk. It had taken two baby enemas to clean him out. Our mainstream doctors hadn’t seen a connection between our son’s bowel problems and his Autistic Spectrum Disorder (ASD). Everything I had been told about it being solely genetic and irreversible, except through behavioral modification and heavy-duty drugs, was a lie. Here I had proof that ASD is reversible: Our boy was back, at least as long as he avoided gluten, casein, soy, and corn. And so we took our first steps on a trip through a world where doctors, public health administrators, and even some politicians lie to protect themselves from the truth: Genetics is the gun, but environment is the trigger. Our son’s dramatic response to Secretin had shown us that symptoms of autism are reversible. Eventually we found Secretin to have diminishing results, and it was his diet which kept him from drifting away from us. Two years later, he had his first biopsy and colonoscopy and was found to have Lymphonodular Hyperplasia of the colon – a condition associated with chronic measles activity from the MMR vaccine. This journey has been a long one, filled with twists and turns and even a few dead ends. I didn’t know, couldn’t know, if after losing two years of his development whether he would ever be fully normal. But he was talking, making eye contact and the stimming was gone, and that was good enough for my husband and me to see that our son was still there and had never been completely lost. “Stimming” refers to repetitive, self-stimulating movement, such as through flapping, tapping, scratching, or rocking. Where would we be now if we hadn’t listened to our hearts and tried alternate therapy for our son? I was grateful that I had a support community of parents who were of a like mind about AP. They stood by and encouraged me to believe that something more was going on with our son than genetics alone. They were there for me to help me parent my child gently even when he was screaming and tantruming every day. They helped me through the pain and anguish of my own son not knowing his mom anymore. Thank goodness for those parents who wouldn’t let me give up hope. Like many families that I know, my husband and I just sort of fell into Attachment Parenting. When our son was born in 2001, we found our parenting style to be in line with Attachment Parenting concepts. As we added baby number two in 2003, I was introduced to the challenges of parenting two children. Of course, we kept with the Attachment Parenting style because it helped address some of these challenges (can anyone say sleepy mom of two?). Fast forward a couple of years, and our Attachment Parenting style helped us with one of the biggest parenting challenges that I think we’ll ever have to face — autism. In November 2006, the day before my daughter’s third birthday, she was diagnosed with autism. Technically, her diagnosis was autistic disorder. 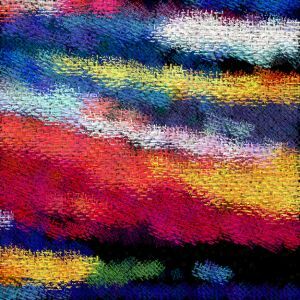 At this point, there are five different diagnoses that fall under the pervasive developmental disorder umbrella and autistic disorder was one of these. 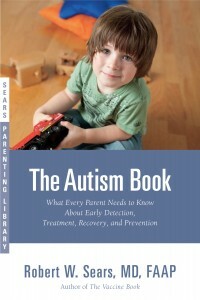 I have to admit that before I read the latest addition to the Sears Parenting Library – The Autism Book: What Every Parent Needs to Know about Early Detection, Treatment, Recovery, and Prevention by Dr. Robert W. Sears, MD, FAAP – that I had only a very basic idea of what autism was. The complexity of this medical disorder simply had me baffled, and because I thought I had no personal connection to autism, I conveniently stayed away from the topic. But when you’re involved in parenting support, at some point you have to break out of your comfort zone in order to help more families. And attached families certainly aren’t immune to autism. 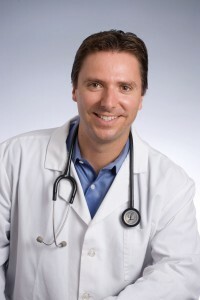 A few years ago, Dr. Sears wowed us with his acclaimed The Vaccine Book. The Autism Book is just as wonderful. Personally, I have received quite an education from the book. It provides a comprehensive look on this medical condition, and has the added appeal in that it offers both an introduction to autism as well as all the latest research and theories on mainstream and alternative treatments — and even a bit on the subject of prevention. By the time I finished the book, I thoroughly understood all aspects of autism. Dr. Sears has written The Autism Book to be THE handbook on parenting a child with on the autism spectrum. In our interview, Dr. Sears gives us some insight to what he hopes to accomplish by writing The Autism Book. RITA: How did you first become interested in autism? DR. SEARS: Ten years ago, a new patient walked into my office [located in California, USA] with a child with autism. She asked for help guiding her through all the various treatment options. I knew absolutely nothing about autism at that time, but I wanted to help. So, I began learning everything I could through physician seminars, books, and mentoring under other doctors who specialized in autism. Through this first patient, and several others in the following months, I learned that there is a whole world of treatment options out there. Some treatments help most kids and some only help a minority. But, I learned that children with autism can recover and lose their diagnosis, and after I saw this happen with several of my patients, I knew that treating autism as a pediatrician would become a lifelong passion for me. I also became involved in the parent support group, Talk About Curing Autism (www.tacanow.org), which has taught me so much in ways that only parents can teach a physician. RITA: What led you to write your book, and how do you hope for your book to benefit families? DR. SEARS: Treating autism requires a lot of time educating parents. So, I thought I’d throw everything I know into a book so my own patients could read everything I want them to know. But, I also love reaching out to families everywhere with information I feel is important. With the continually increasing rates of autism — and make no mistake, there is definitely an alarming increase, despite the denials you see in the media — early detection and early intervention are becoming more and more critical. The sooner a baby or toddler or child is identified as being on the autism spectrum, and the sooner intervention begins, the better the chance of a full — or nearly full — developmental recovery. Physicians used to think, and I am admittedly guilty of this, that it didn’t matter what age a child was diagnosed, because there wasn’t much we could do about it. Autism was autism, and there was no hope for treatment or recovery. Now that we know the complete opposite is true, physicians and parents need to have the tools to detect autism at the earliest possible age so life-changing treatment can begin. But with the various “alternative” medical treatments out there, I wanted to give parents a science-based look at what integrative and complimentary treatments could help there child, along with mainstream treatments. So, I put it all together for parents everywhere to be able to read. There are some treatments that require a doctor’s guidance, but there are so many treatments that parents can do on their own without a doctor’s help and I wanted to put such tools into parents’ hands. RITA: Your book touches on prevention of autism, which I found very interesting but something we don’t hear much in mainstream media. Could you give an overview for our readers? DR. SEARS: The last chapter of the book deals with prevention, in as much as prevention may be possible. I address how to identify autism-associated medical or nutritional problems early on and how to fix them, with the hope that such steps may prevent or limit the autism problems. I also discuss how to approach medical care in a way that may help be protective against autism, as well as how to prevent autism in subsequent children in families who already have one child with autism. RITA: There is a study that began in 2008 seeking to determine whether mother-child attachment can be used as prevention for autism. What are your thoughts on this? DR. SEARS: The issue on whether or not Attachment Parenting (AP) can help prevent autism is a tough one. We do know from research that AP kids tend to grow up smarter and happier, and that AP enhances intellectual and motor development during infancy. But, does this benefit extend to autism? I don’t know. I know AP kids who have developed autism. I don’t think we can speak to this until some research is done. My opinion, however, is that the neurobiological mechanisms that cause autism are so complicated that AP practices may not be enough to overcome the autism. It’s very important not to cast blame on any parent for their child’s autism. And to suggest that a child with autism who was not attachment-parented may have turned out better if he had been AP’d is not an appropriate statement to make to any parent. So, until we know, I don’t like to presume that AP may help prevent autism. RITA: What tips do you have for AP families affected by autism? Are there particular principles or parenting practices that are more helpful than others, or vice versa? DR. SEARS: Autism behavioral interventions are very unique and complex. The proper way to interact with a child with autism might not always be intuitive. 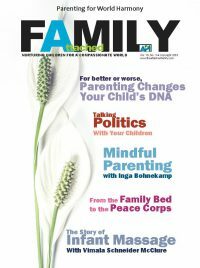 Specific behavioral interventions are usually provided one-on-one with a licensed therapist, and these techniques are usually taught to the parents, as well. I recommend parents become somewhat adept at the techniques they learn from such therapists. But of course, nothing can replace the loving care a parent can provide, and from an AP standpoint, patience is definitely a virtue. One very important concept for parents to realize is that the divorce rate in families with autism is extremely high. Perhaps the single most important factor that keeps a family together is a father who accepts the child’s diagnosis and jumps into getting involved with the child’s therapy; a dad who understands what is going on and takes part in it. A dad, on the other hand, who steps back from the whole situation, and just views himself as the money maker for the family, may soon become detached from the family unit and will find a distance developing between himself, his child, and his spouse. Becoming active in a local parent and family autism support group can really help. RITA: Could you summarize the top two or three concepts from your book for our readers? Early detection: as discussed above, this concept is key so that early intervention, and a greater chance of recovery, can occur. Causes: I discuss what we know about possible causes. Much of this is theoretical, but we are learning more and more scientifically, as well. I also go over what type of testing is useful in order to look for associated medical and nutritional problems. 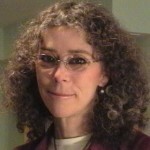 Treatment: I go over behavioral/developmental therapy, nutritional therapies, and integrative (“alternative”) therapies. I don’t just give general advice – I provide specific guidance on exactly what to do and how to do it. 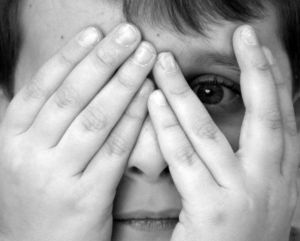 Prevention: I provide information on how to lower a child’s risk of developing autism. This isn’t always possible, but I share what we do know and what parents can do. 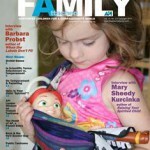 Readers can check out the book’s intro and table of contents at www.theautismbook.com. RITA: Thank you, Dr. Sears, for your time and insights. Any closing thoughts you’d like to share? DR. SEARS: Autism used to be a diagnosis will little hope of treatment or improvement. Many kids were institutionalized. And although the diagnosis can be a very difficult time for families, today there is so much more hope and available treatment options than 20 years ago. There is a lot of work involved in autism treatment, but by seeking the help of other parents and the right professionals, improvement is very likely and recovery is possible.